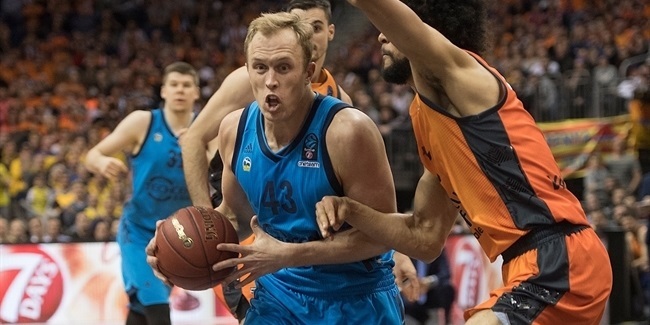 Stefan Peno may not have been playing in ALBA Berlin's final Top 16 game against Partizan NIS Belgrade, but the Group E winners showed its young playmaker that he is definitely on the players' minds. 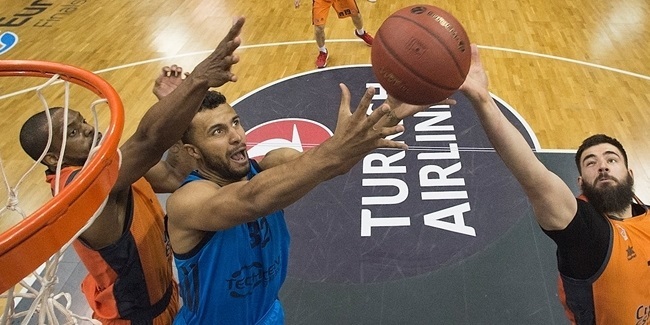 Peno went down in ALBA's German BBL game over the weekend with a knee injury and is expected to miss a number of months after already undergoing surgery. On Tuesday night, the ALBA players warmed up ahead of their 97-74 victory over Partizan with t-shirts bearing Peno's number 44 over the face of the 21-year-old Serbian point guard. ALBA also posted a video on social media before the game. "Hey Stef, we hope you feel good. We got a good setup over there at the UKB [university hospital]. We really hope you come back soon. We're missing you over here. But we got a little something prepared for you," Niels Giffey said in a video that featured the entire team lined up in yellow T-shirts. Dennis Clifford then jumped forward and the team showed off the back of the shirts with the ALBA big man saying: "Come back strong! Let's go... Love you bro! Still the heart of this team." Peno responded on Twitter by saying in German: "This is my family!"